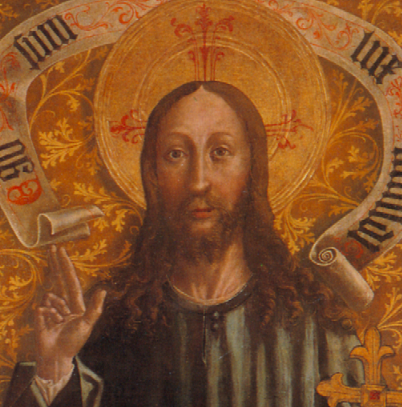 Folia Historica Cracoviensia has just published my article (although dated 2017) entitled “Salvator Mundi: a late-gothic canvas from Cracow after a lost Early-Netherlandish painting. A suggested new dating and possible identification of the donor”. the same time, the only surviving medieval canvas painting from Lesser Poland. The findings of conservation studies were published by Małgorzata Schuster-Gawłowska, and the analysis of style and iconography by Helena Małkiewiczówna, who reported that the painting was probably inspired by the Netherlandish original from the circle of Rogier van der Weyden. So far it has been dated back to around 1480–1490. It seems, however, that such dating is slightly too early and I suggested moving it to early 16th century. Unidentifiable amongst Cracow clergymen, the donor in my opinion could be identified as Jakub Karczewski of the Jasieńczyk coat of arms, a Płock canon and, since 1509, a canon custos of Warsaw Chapter. I also think that, in contrary to what was previously assumed, the painting was brought to the Cracow Cathedral for the first time as late as in the second half of the 17th century – it was then that the work was repainted (the coat of arms was corrected) and hung on new hooks – for it is in this context that it was mentioned for the first time in the Cracow Cathedral in the years 1680–1681. Incidentally, it was in the third quarter of the 17th century that Stanisław Karczewski Jasieńczyk was the warden of the castle, and had his sons baptized in the Cathedral; he could have donated the painting inherited from his ancestors.